When it comes to business strategy on social-media, ‘video’ is usually accompanied by ‘marketing’, which helps to suggest that it has little to do with anyone outside of the sacred creative space. But for social-sellers and product managers alike, video content might just be the missing ingredient from your sales or service journey. Discover why ALL of your employees should take part in content creation. Isn’t video content just for adverts? For sure, adverts and launch campaigns are certainly the most widely recognised examples of brands using video content, as a social seller you may have already shared a video or two of this nature from your own company. There is a great reason for that, according to HubSpot, marketers who use video have seen their company’s revenue increase 49% more than those who don’t use video. If your brand is already using video to support its marketing strategy, that’s great but promo-focused or ad-based content only taps into a portion of the potential audiences and the benefits they bring. Think about your own YouTube usage for a second. Have you ever quickly scanned for a ‘how-to’ video to fix something in your home or use a piece of software? How about watching product reviews or unboxing videos before you bought your last piece of tech? According to Google, 62% of people watch video reviews before making a purchase and beyond that, Treepodia suggests that adding a product video on your landing page can exponentially increase conversions (by up to 80%). In fact, most of us (around 79% according to Wyzowl) would rather get information about a product by watching a video rather than reading a text article. So, it’s clear that there are many important ways in which your company can incorporate more video content to build trust in your brand. Next, we’ll look at how it’s done, and more specifically how you don’t need to be an Oscar-winning director to create great content! Hopefully you now believe that by its varied nature, video content can come from anywhere and anyone. Your sales team (the people who your company pays to talk about its products to buyers) could be making product reviews and unboxing videos. Your support team or even your developers can make how-to videos to help your customers get the most out of their products. 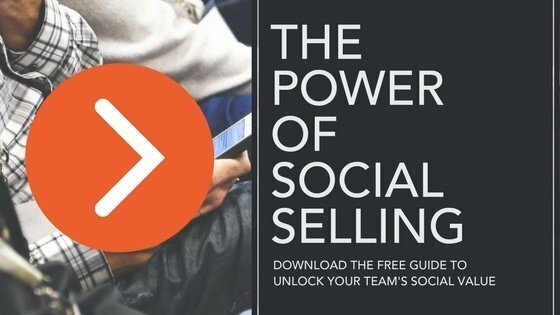 For social sellers in particular, we are certain that creating your own content is the next logical step towards building up your own personal brand. You are already the most trusted source of company information as an advocate and a product expert, so you need to show it even more if you want to get ahead of your competitors. The good news is that creating content doesn’t have to be as hard as you might expect, especially if your marketing team already has its own video equipment. Don’t worry if they don’t, you might be surprised by what can be achieved with a cheap set of lights, a stand and an iPhone camera (tip, update the camera settings to film in HDR). Just look at this video about unboxing an iPhone X, would you say the production values seem particularly difficult or expensive? Probably not, yet this video alone (trust me there’s thousands like it) has achieved nearly 4 million views! If you’ve never presented on camera before then it’s natural to feel uncomfortable, you will forget to say things and you will hate the sound of your voice. But if you imagine yourself when you first started your job compared to how you are now, wouldn’t you say you had the same feelings on your first day? The point here is that it takes time and practise to master the art of creating videos just like anything else, so don’t beat yourself up in the beginning. Dreamgrow came up with the excellent line, “video is a bit like pizza, even when it’s bad, it’s good.” You don’t even have to publish the first ten videos that you create, instead just use them to learn the ropes and have fun with it… the more you learn to laugh at yourself now, the quicker you’ll acclimatise to a life in front of or behind the camera. As Mark Schaefer (Schaefer Marketing) brilliantly put it, “the new era demands a focus on ignition, not just content, on trust, not just traffic, and on the elite people in your audience who are spreading and advocating your content. So, grab a product, grab your camera and start talking about it just like you would on any other day at work.